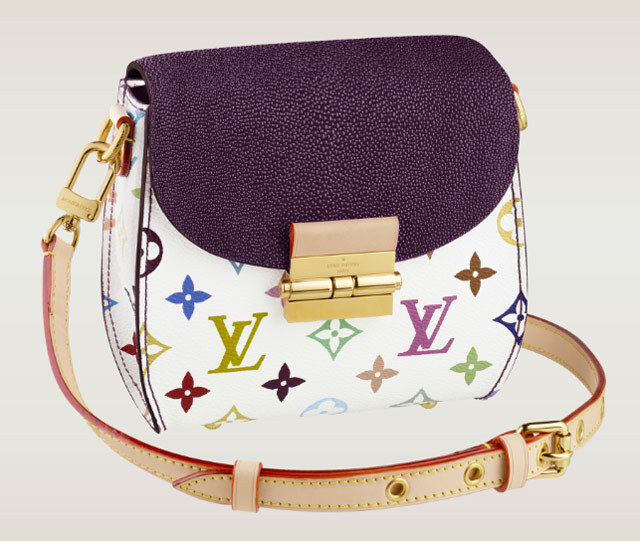 To be perfect honest, it’s been a long time since I even felt 100% sure that Louis Vuitton was still making its brightly color Monogram Multicolore canvas. It’s a look I associate so heavily with the early 2000s, with Jessica Simpson when she was still married to Nick Lachey and toting her Louis Vuitton Monogram Multicolor Speedy all over MTV on Newlyweds, and when the economy crashed and Simpson and Lachey got divorced and people mostly stopped wearing Juicy Couture sweatsuits, the majority of Vuitton customers moved back to regular monogram or on to one of the brand’s other materials. Something as taste-specific as Monogram Multicolore can only stay on top for so long. 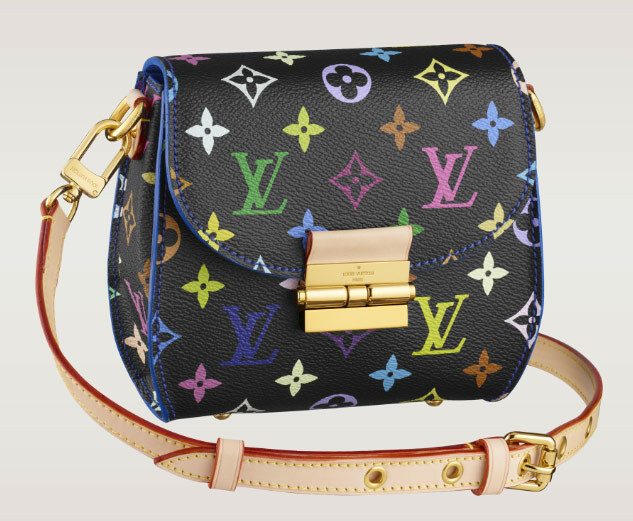 That’s why I was a bit surprised to find the Louis Vuitton Heartbreaker recently. In both stingray-trimmed and full canvas versions, it’s a new Multicolore option that might have people considering the material who haven’t thought of it in a long time. I wasn’t a fan of the look the first time around (at all), but with a full pink stingray flap, dare I say that I’m intrigued? Check out more versions of the bag after the jump and let’s discuss whether or not Monogram Multicolore can make a comeback. 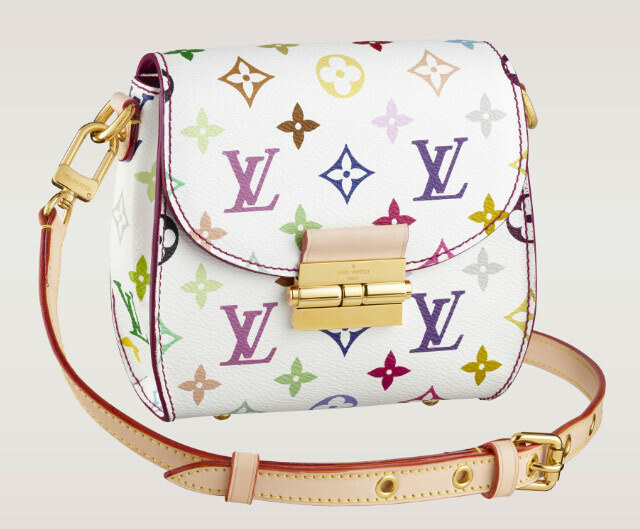 I’m a bit surprised at myself for liking this bag at all, but the mix of stringray and vachetta leathers and just a bit of monogram in the white version feels very spring-like and appealing, on a certain level. I’m not as enthusiastic about the black stingray version or either of the all-canvas options, but I could see why they’d appeal to people who already like the material. 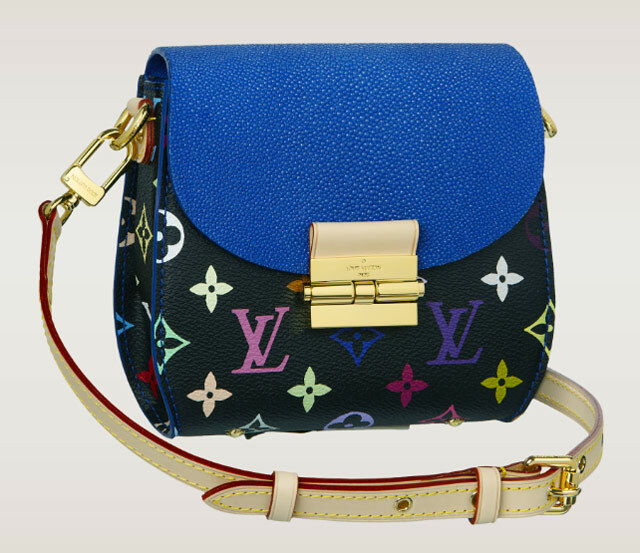 If nothing else, this is the first time I’ve looked at Monogram Multicolore with anything but disdain in years. Maybe ever.